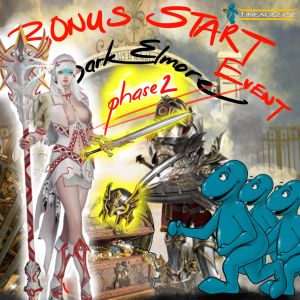 from Monday’s regular restart on 19th of November 2018 GMT+1 the second phase of Bonus start event will start. Point of this event is to ease the start for new players that come to our server. All newly created characters will have in their inventory a Bonus Start Event Box, from which you will receive shadow armors and weapons for 7 days. Shadow items will be available until low B grade. All newly created characters will receive SoE to Giran. Now it will be possible to obtain except runes of XP & SP also runes of sealstones. Based on rune level it will increase the amount of sealstones dropped in catacombs & necropolises for 3 days.